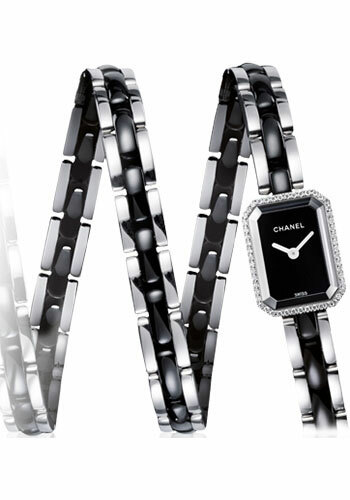 stainless steel case set with 52 diamonds (0.26 carat), black lacquered dial, quartz movement, triple row bracelet 156 articulated steel and black high-tech ceramic links (53 cm). Water resistant to 30 meters. stainless steel case set with 52 diamonds (0.26 carat), white lacquered dial, quartz movement, triple row bracelet 156 articulated steel and white high-tech ceramic links (53 cm). Water resistant to 30 meters.